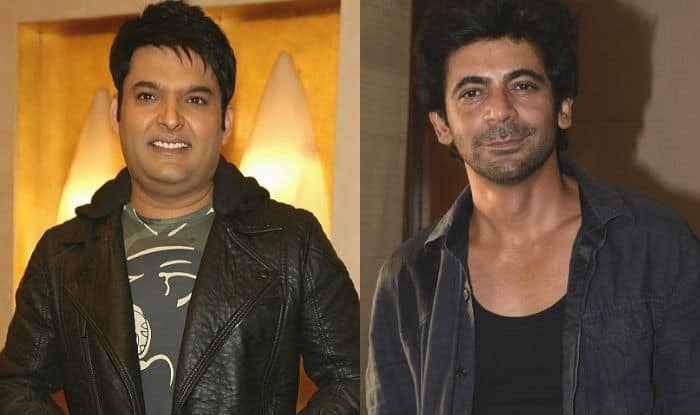 Sunil Grover to Join Hands With Kapil Sharma Again Post Shooting For Salman Khan's Bharat? Sunil Grover to Join Hands With Kapil Sharma Again Post Shooting For Salman Khan’s Bharat? Sunil Grover will reportedly start working with his former colleague Kapil Sharma soon. Kapil Sharma and Sunil Grover have earlier worked together on Comedy Nights With Kapil which turned out to be a successful show. In 2016, there was a rife between the two for which they parted ways. Latest reports suggest that the duo will soon be working together on The Kapil Sharma Show. Reports suggest that Salman Khan, who is producing The Kapil Sharma Show is trying his best to mend things between Sunil and Kapil. Now, as per a report in IBT, Sunil will be joining hands with his former colleague Kapil after he is done with the shooting of Salman’s Bharat. Sunil who is a part of the show Kanpur Wale Khuranas earlier revealed that he had signed the show for only eight weeks since he had locked the dates for Bharat. Speaking to Pinkvilla about it, Sunil said, “I had signed the show for 8 weeks only because my dates were locked for Bharat (Salman Khan’s film), the movie. I had made this clear even during the press conference and interviews that I could only accommodate this much time. I just want to thank the team who made this show happen including the channel and the guests who accommodated dates because of my schedule”. Earlier, Sunil had wished Kapil on Twitter on his marriage with Ginni Chatrath and Kapil even replied to it and wrote, “Thank u so much paji.. we missed u .. love n best wishes always”. On the professional front, Sunil will next be seen in Salman Khan’s Bharat which also stars Katrina Kaif. Kapil, on the other hand, had a successful 2018. From tying the knot with Ginni to starting his new show The Kapil Sharma Show, Kapil ended 2018 with double celebration.